One of the decisions made during planning for the rollout of Amtrak was to reroute all passenger trains between Chicago and St. Paul/Minneapolis onto the Milwakee Road instead of the Chicago, Burlington & Quincy. 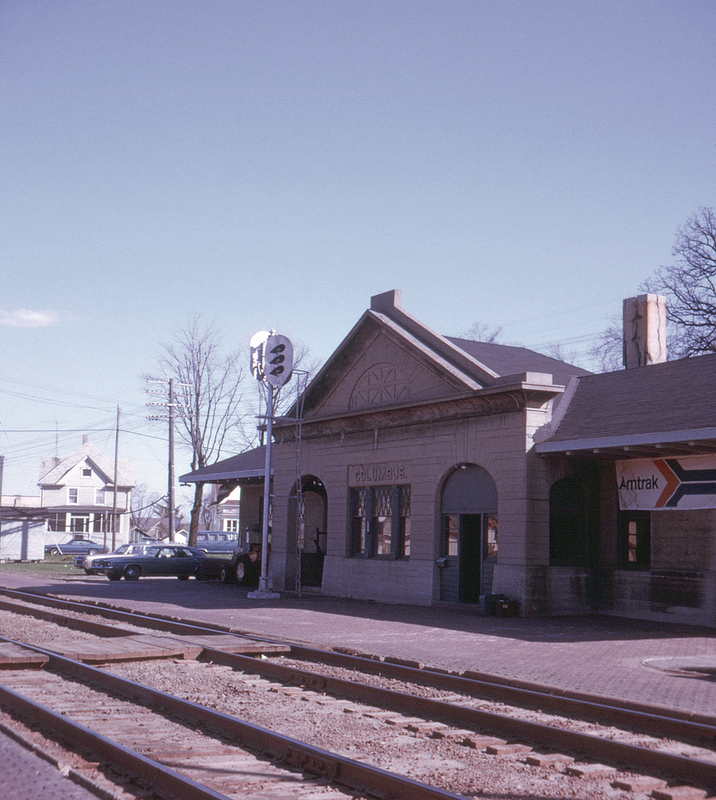 Columbus, Wisconsin was one of the lucky towns to retain passenger service after May 1, 1971 as a result. This attractive depot is still open today (2018) as an active Amtrak station.